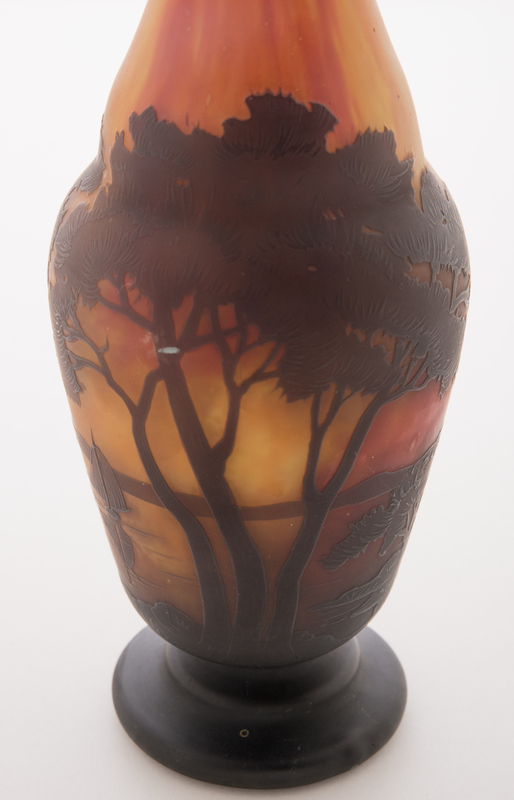 If I had to sum up a Daum Nancy cameo vase in one picture, I would probably choose this vase. The rich yellows and reds simulate a summer sunset. The viewer can observe trees in the foreground with sailboats on a lake and mountains in the background. 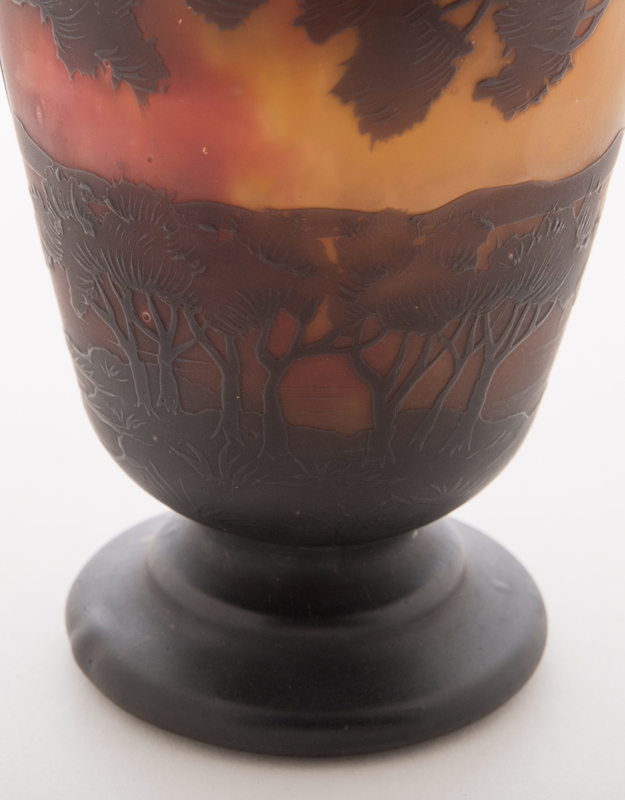 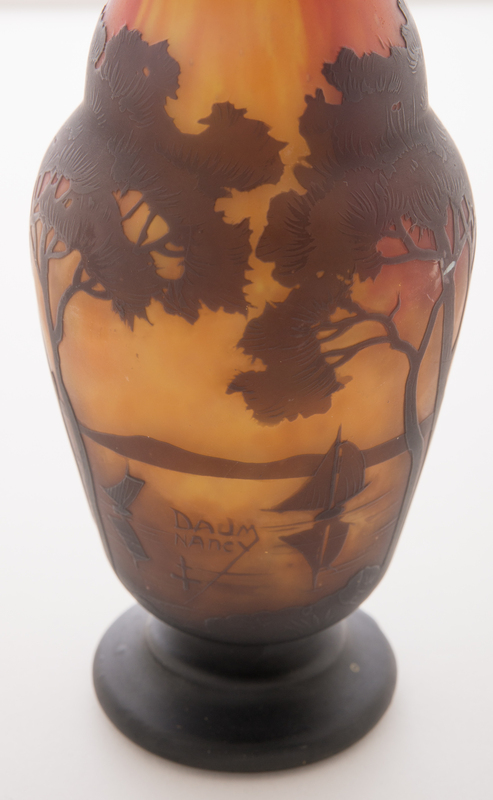 Signed in cameo "Daum Nancy" with cross of lorraine on side of vase. 11.5 inches tall.